25 years ago, the Berlin wall fell on November 9, 1989. Who would have thought that I’d be there 8 months later touring with a high school group from Texas. 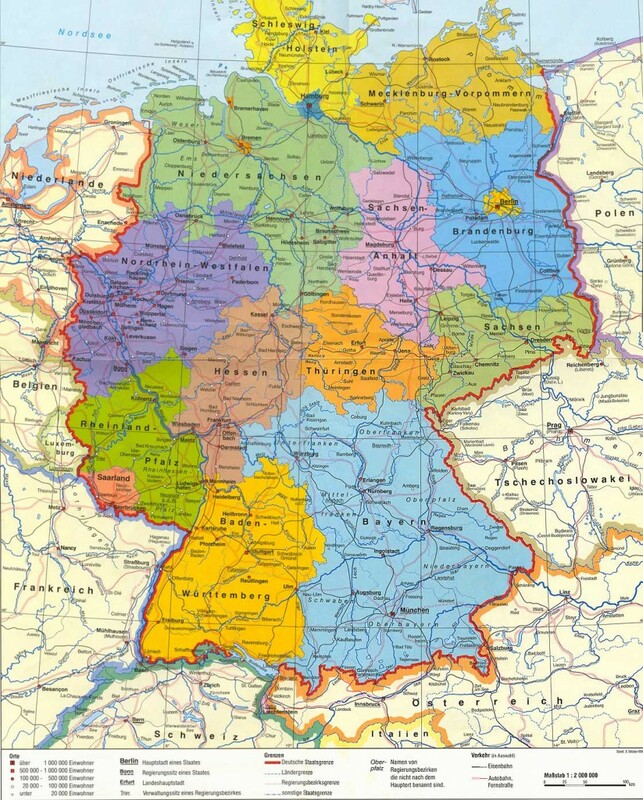 In honor of that celebration, I thought I’d post a map of what freshly-reunited Germany looked like in 1990 when I was there. Perhaps next year on the 25th anniversary of my trip I’ll post some photos! It was a few years before I started travel journaling and I don’t know if I still have the itinerary floating around in the box. Something to look for before next summer! This entry was posted in Maps on November 3, 2014 by clubjosh.